I never cease to be amazed by 3D sidewalk chalk art. I could stare it for hours, mostly because I am not a talented artist who could ever draw such amazing pieces. 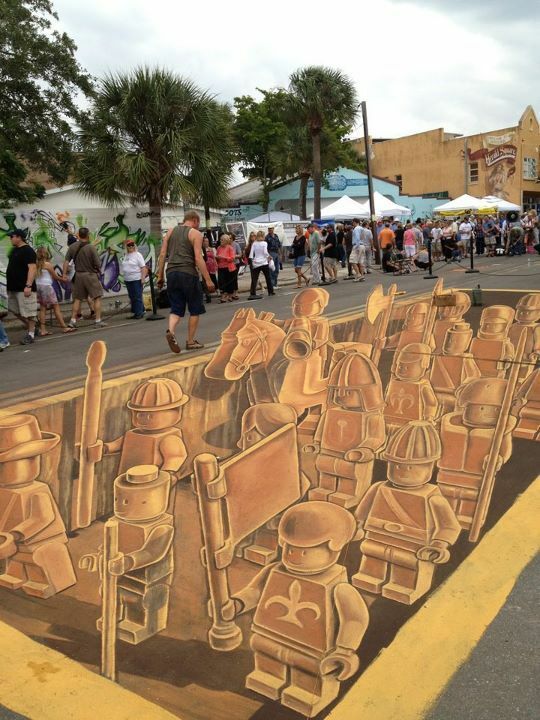 This latest find is no exception; it’s a Lego minifigures army from the Chalk Festival in Sarasota, Florida that just wrapped up. A street artist group based out of the Netherlands called Planet Streetpainting is responsible for this awesome work of art. 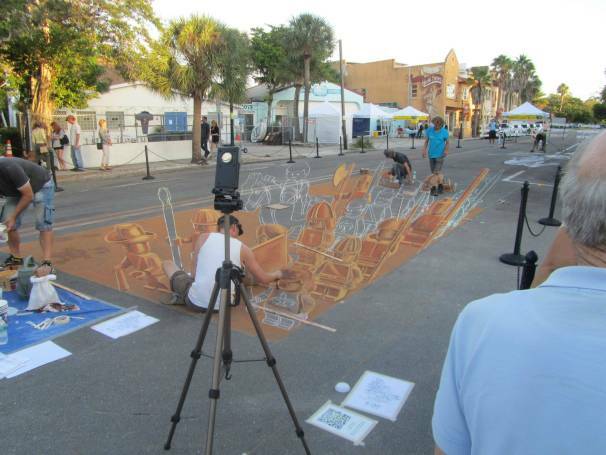 Leon Keer, the art director of Planet Streetpainting, was inspired by Terracotta Army of China, a collection of sculptures modeled after Qin Shi Huang’s armies, the First Emperor of China. Inspiration also came from Dutch artist Ego Leonard who makes giant Lego not-so-mini-figures, one of which washed ashore in Sarasota just before the Chalk Festival. Terracotta Army of China includes figures of horses, chariots, and soldiers. The street art piece incorporates many of the elements of the original piece, but with true Lego style. I love that the minifigures have their original Lego hats, flags, weapons, and tools. This piece gained a lot of popularity on Reddit, where photos of the work in progress were posted. One of my favorite photos shows the work about half way completed and looks a bit distorted. Street art continues to amaze me and this piece is great. What’s not to love about Lego minifigures and chalk art?